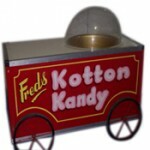 A delivery fee may apply on Fun Foods. We do not provide a table for fun food equipment. 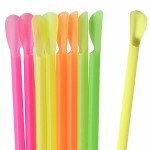 These are available for hire if required (refer to Marquees and Party Hire). 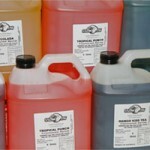 Entertain your guests with slurpies, frozen cocktails, daiquiris and other flavours at your next event. Access to 10 amp power required. 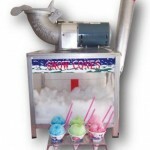 Snow Cone Machines are a great addition to your function. The ice crunching machine comes with cup holder, cups, straws. and syrup for 400 serves. If you are throwing a party or event that is coming up soon, then you are probably trying to think of a way to keep your guests happy and fed. If they are hungry, then they are going to look around and see what there is on display for them to eat. Have you yet decided what you are going to have up for grabs for those who will be attending your party? 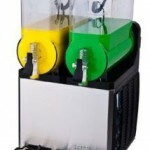 Slush Machine: Particularly if your event is going to be held outside on a hot day, people love to show up to your party and see that you have a slush machine there. Even if your party is inside in an air conditioned space, people still love to see slush machine’s because the slushies that they offer are just such a delicious treat for all ages to be able to enjoy. 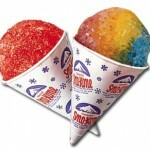 Snow Cones: Much like slush machines, people of all ages love snow cones. Especially outside on a hot day, holding onto a snow cone in your hand and leisurely eating it as you mingle with the other attendees of the party or event you are at, just feels so nice and relaxing. All of your guests would definitely love it to see that you are offering snow cones at your event, particularly your younger guests, because children love snow cones. 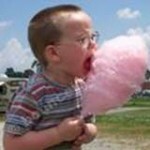 Fairy Floss: The sugary goodness of fairy floss is a classic favourite of all ages. No one can be unhappy with any amount of fairy floss in their hands, as the delicious sugar spun cotton tastes so delicious on your taste buds. Serving fairy floss at your upcoming event or party is definitely a way to get everyone in a good mood and keep them lively and excited throughout the duration of the event. 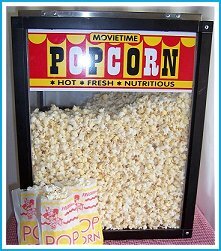 Popcorn Machine: Having a popcorn machine at your event is an excellent idea, because it is a good way to have a delicious treat that guests can munch on in order to have something in their bellies that will keep them full, as well as taste great and give them something to do with their hands as they put piece after piece of delicious and mouth watering popcorn in their mouth. 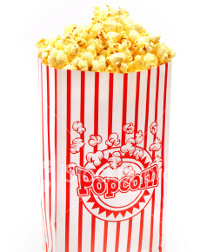 Popcorn is always a classic hit that groups of all ages will enjoy, so regardless of what type of party you are planning on hosting, popcorn machines are always a hit no matter what the circumstances are. 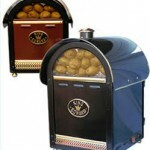 Potato Ovens: Everyone loves potatoes, and having a potato oven at your event will provide you with an opportunity to be able to cook large amounts of potatoes at one time that can then be fed to guests at your event. Potatoes are a great choice because not only are they delicious and a favourite of just about everyone, they are also a filling choice to have at your event. This way, when people get hungry and fairy floss isn’t enough to fill their bellies, a delicious potato will likely be enough to get them through the event. Particularly you are planning on hosting an event that will last a longer period of time, you might want to consider having a potato oven to give your guests something more filling with their bellies start grumbling. 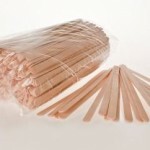 Hot Dog Warmers: If your event is going to last long enough that people will likely get hungry enough to want something of a meal, then you need to find a food that they can put into their bellies that will fill them up so they can keep enjoying the event that you worked so hard to put on for them throughout its entire duration. This is why hot dog warmers are such a great option to have at your event, because your guests would definitely like to have a nice hot dog when they start to get hungry and then go back to enjoying the festivities and entertainment. 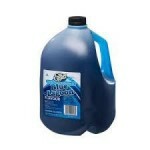 Deep Fryers: Are you looking to have something deep fried at the event that you have coming up? If so, then you’ll need a deep fryer and fortunately, Aussie Events and Amusements offer those for hire for you to avail of during your event. 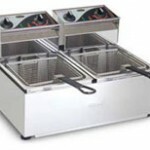 With a deep fryer at your event, you will be able to deep fry anything you want quickly and conveniently. This way, regardless of what type of deep fried delicacy you are hoping to provide the guests of your event with, you will be able to make it a reality quickly and easily after just getting one of our deep fryers. 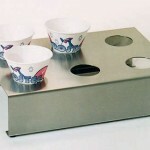 Bain Maries: If you would like a Bain Marie at your event in order to cook a type of delicate food such as a custard to serve to the guests of your event, then the party catering services we offer here at Aussie Events and Amusements can also take care of that for you so you do not have to worry about it. Your guests would definitely love it if you had plans to have something delicious cooked up for them in a Bain Marie. 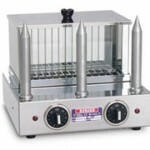 Pie Warmers: Everyone loves pies, so if guests showed up to your event and saw that you had some pies warming up in one of the pie warmers that was provided to you by us at Aussie Events and Amusements, then they would definitely begin to get really eager to try some of the pies you have on offer. Guests love having nice treats and deserts available for them to try at your events, so pie warmers are definitely a great choice for anyone planning to throw a party or event in the near future in Melbourne. Planning a party in Melbourne can involve a lot of hard work on your end, but it is all worth it in the end if you properly pull it off and manage to throw an event in which all of the guests are truly having an incredible time and manage to bring home some wonderful and fun filled memories with them. This process can be made a lot easier on your part if you enlist the help of Aussie Events and Amusements to take some of the responsibility off of your plate so you can focus on other things. These are the reasons why you should choose to let us help you out with catering your event in Melbourne and providing delicious food for all of the guests that will be attending. If you still haven’t decided which of the above food options are most suited for your event, then contact us with any questions you may have and we will help make the right decision for your particular event! With the help of Aussie Events and Amusements to cater to the guests at your event to keep their stomachs full and happy, then your event is bound to turn out a complete success.